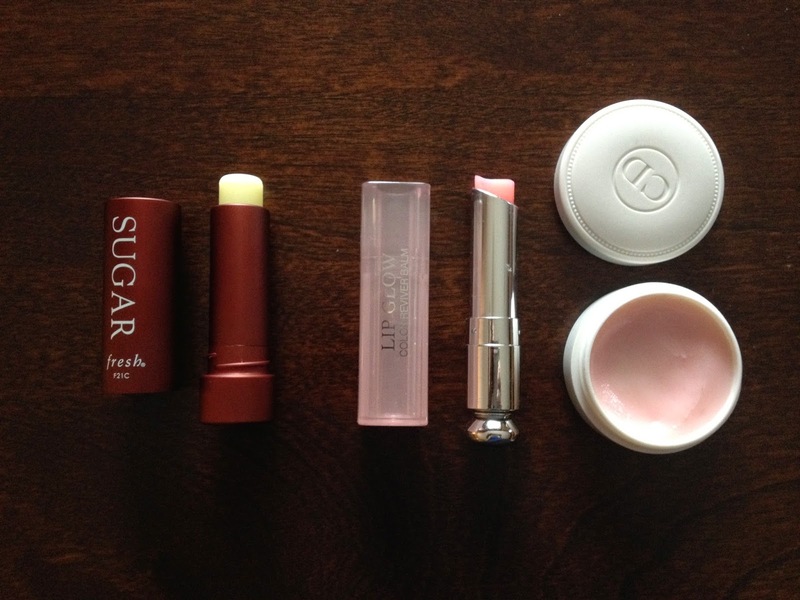 One of my must-have products year-round is Lip Balm. So basic and boring, I know. But if you've ever had the unfortunate experience of spending a day, especially a cold Canadian winter day, without your trusty lip treatment, you know how much of a difference it makes. I'm the kind of girl who has a different chapstick in every pocket of every bag...as well as on my desks, at home and at school, and on the table next to my bed. I lose and repurchase these little things more than any other item in my life! Okay, maybe that's a bit of an exaggeration, but you get the point. Another cult favourite, with adorable packaging, that I have several of is EOS Lipbalm. I don't think these are the most moisturizing and probably aren't your best bet to fix severely chapped lips. However, they are good at maintaining your lips throughout the day and their texture is optimal for layering under lipsticks - which is how I use them, for the most part. 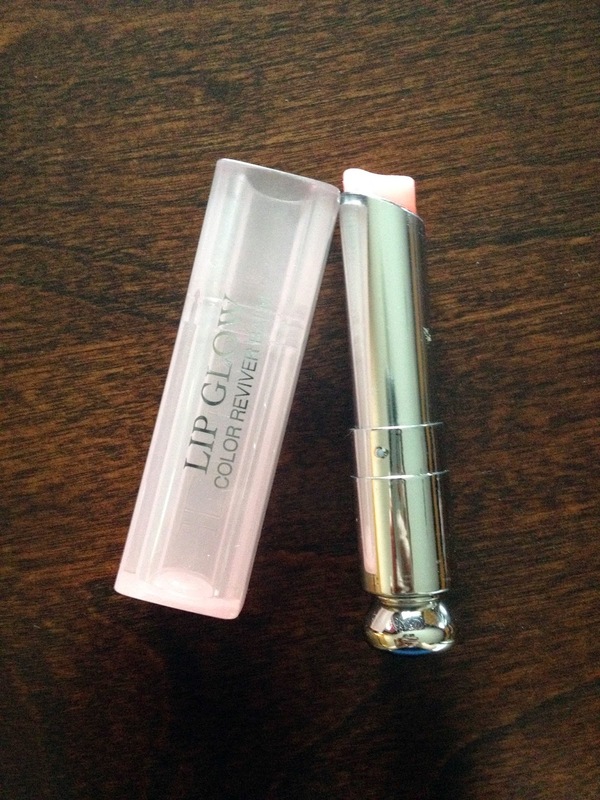 They help stop lipsticks from sticking to dry patches or aggregating in any fine lip lines. Plus they are just so darn cuuuute! 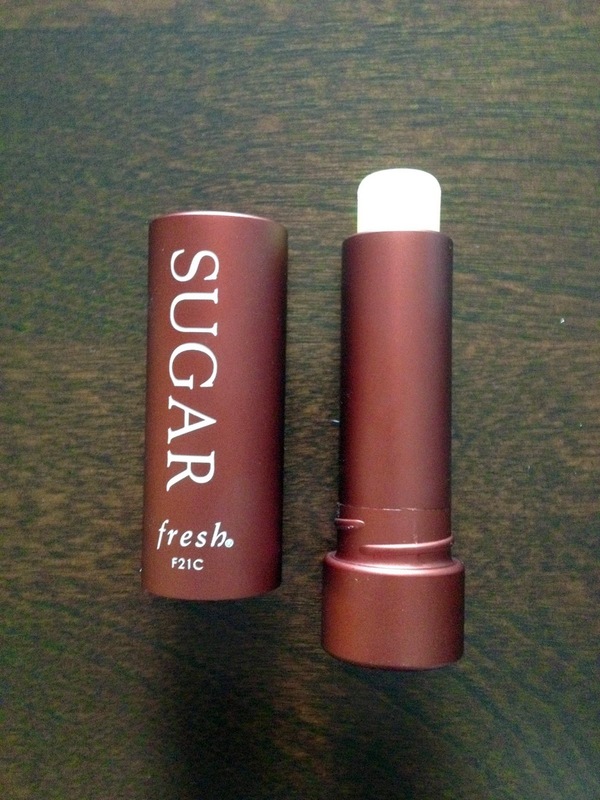 Fresh Sugar Lip Treatment SPF 15 (26$). I freaking LOVE this stuff. I must have one of these with me at all times, or I go a little crazy. I fell in love with these little wonders when I received a duo of minis from Sephora for my birthday. The mini products are very decent sizes, with the same incredible packaging as the full size products, and, around the holidays, tons of awesome sets can be found for good deals. Plus, they make excellent gifts! I use the original formula on a daily basis, and am on my third or fourth tube. It's smooth, thick, emollient, and has a slightly lemony smell. The product is very soft (it will melt if you leave it anywhere hot, like your car!) and you can feel it on your lips for hours. 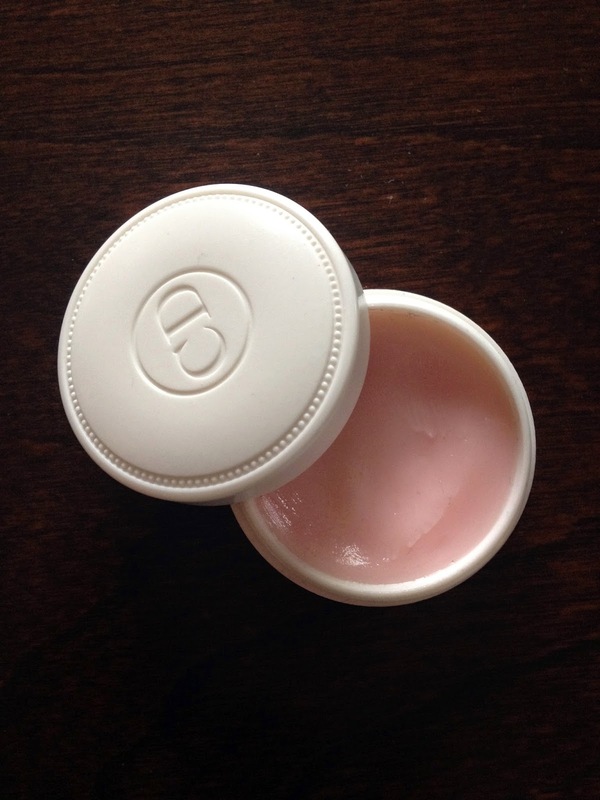 Bonus, it has SPF 15 to protect your lips from nasty burns (Have you ever gotten a sunburn on your lips? It's awful.) I think I may be a little bit addicted to the feel of this product, honestly. The Fresh Lip Sugars are available in plenty of shades, all with the same luxe formula but with a hint of tint. They are cased in beautifully simple and chic metal packaging, with a screw-on lid to avoid any messy mishaps in your purse! Dior Addict Lip Glow (35$). This one is a bit of a splurge at 35$ CAD but I assure you, it's worth it. At first, I assumed this product was a bit of a gimmick. It claims to "waken and enhance the natural beauty of your lips with this unique balm. Formulated with color reviver technology, this silky lipstick reacts with the chemistry of your lips to create a special shade that will last all day." So, basically, it's a mood ring for your mouth! Hmm... Well, I caved and bought one, and can't stand to be without it since. It does make my lips a beautiful natural shade of shiny pink (nothing too over the top) but it works miracles on my lips themselves. The product applies like a lipstick and almost instantly any problem areas on my lips just seem to dissolve and disappear. They're left smooth, silky, and plump. Plus, it has a yummy mint-vanilla scent. This is the one I grab when my lips are in dire need of saving, as well as when I just want a soft everyday lip colour. Dior Creme de Roses Smoothing Plumping Lip Balm (29$). You've been living under a rock if you've never heard of this one - it seems to be a favourite of every YouTuber/Beauty Blogger in the last several years. I bought it after hearing it hyped for so long and I really do like it. It smells like roses, it's a beautiful pink shade, and it lives in the simplest, prettiest lip balm jar ever. Plus, it feels amazing on the lips. It's like your lips just know they're wearing Dior and they are loooving it. I haven't noticed any plumping effects from it and I don't think it's particularly smoothing either. It does, however, moisturize and soothe my lips after a long day. I keep this on my bedside table and apply generously before bed every night. In the mornings, I can still feel traces of it on my lips and it starts everything off nicely for the day.